Congrats to Angie Jones for winning the Writers Alliance of Gainesville Poetry Contest! This spring, Angie Jones, Eckerd’s Advancement Communications Assistant and Creative Writing/Film Studies student in PEL, was awarded First Place in the Writers Alliance of Gainesville Poetry Contest. Her prizewinning poem “At the Crossing”—which had been workshopped with Professor Emeritus Peter Meinke at the 2009 Writers in Paradise conference—appeared in the 2010 Bacopa anthology and is forthcoming in Eckerd Review. For further information about the Gainesville organization and its annual writers’ contest, you may visit http://wagainesville.wordpress.com/. The Seventh Annual Eckerd College Writers’ Conference: Writers in Paradise will be held at Eckerd College in St. Petersburg, Florida on January 15-23, 2011. Check back for updates on faculty and workshop offerings throughout the summer! Congratulations to former participant and current faculty member, Michael Koryta. 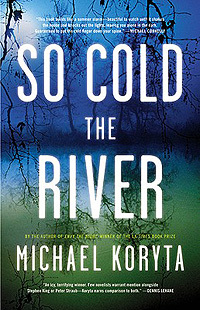 Michael’s new book, SO COLD THE RIVER, which will be released on June 9, 2010, was just selected as one of Entertainment Weekly’s 18 Books We Can’t Wait to Read this Summer. You can read more about SO COLD THE RIVER on Michael’s website. You are currently browsing the Writers in Paradise Alumni blog archives for April, 2010.